Our raw kitchen is somewhat a little quieter than usual these days, as Don and I have been lightly fasting. Nothing drastic or anything. We just felt like giving our digestive systems a bit of a break while doing the Oxy-Powder Colon Cleanse. With juices, smoothies and soups on the menu (you know, baby food stuff! lol), the Vita-Mix, on the other hand, has been busy as ever! Perfect time to post about one of my favorite topics: raw soups. But hang on a minute; I know what you might be thinking! 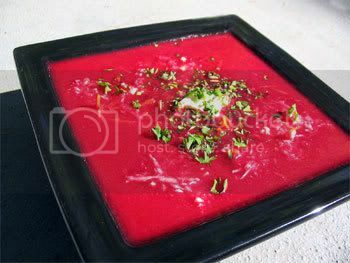 But there is so much more to raw soups than gazpacho, and they certainly don't need to be eaten cold! There was a time when we’d throw everything but the kitchen sink in our daily concoctions... all at once! What we’ve learned, however, is that simple is actually best. Select 2 or 3 veggies, add some water, seasonings and herbs of your choice. 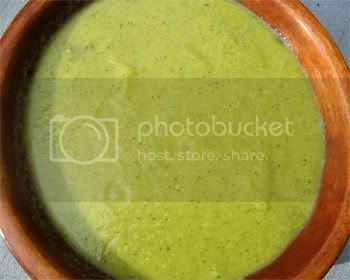 And don’t forget to put a little avocado or some other kind of raw fat in there, such as oil, nuts, nut milk or butter. It's the secret to making creamy soups. I have been sharing several favorites over the months (see the Recipe Index), but here's a few more soups that have become staples for us. Amongst many things, Don is the 'Soupman' around here. He's got a knack for coming up with great combinations. 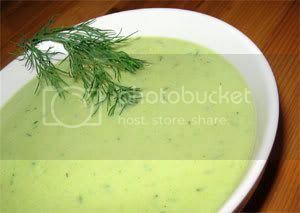 The following Spicy Cucumber Dill Soup is one of his latest creations. Sooooo good! Blend until smooth. If desired, warm up gently on the stove. 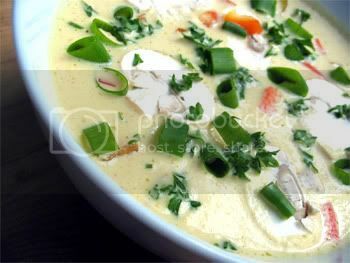 As much as Don and I love raw soups, we don't really like them cold, especially in the wintertime. What we usually do is warm them gently on the stove, stirring constantly so as not to overheat (and therefore kill) the enzymes. An alternative would be to pop your soup in the D, although the stove method is what works best for us. Jennifer Cornbleet, author of Raw Food Made Easy for 1 or 2 People, has mastered the art of making delicious recipes out of a few simple ingredients. Blend all ingredients until smooth. Adjust seasonings to taste. I would have probably never tried this next one if it wasn't for a friend's recommendation. (Thanks Damzlfly!) So light, and the touch of mint, ginger and cardamom in the background is sublime! I've fasted on this soup during the summer and I could actually probably live on this ... it's that good. First, in a food processor, (not a Vita-Mix), place 3 1/2 cups of watermelon and 1 cup of mango and blend until smooth. Next, dice up the remaining 1 1/2 cups of watermelon and 1 cup of mango into tiny pieces and add them to the puree. In a small separate bowl, combine the lime juice, mint, ginger, honey and cardamom. Add this to the previous mixture and stir well. Now chill everything in the fridge and serve in a few hours. Carmella's Note: We enjoyed this one cold, and it was beyond delicious! I'm allergic to corn, so I generally stay away from it. But being corn season and all, I decided to make a corn chowder at least once. Boy, was it ever a good one! The following recipe is by far the best raw rendition I've tried. It is as beautiful as it is delectable! Joz, you got a winner, girl! Blend well the first set of ingredients. 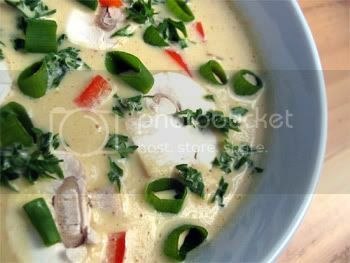 The following soup is a modified version of the recipe found in Carol Alt's new book "The Raw 50". Heathy/Fairygirl recently served it at one of her raw food dinner parties and it was a success. Adapted from Carol Alt's "The Raw 50"
We've been enjoying this other great soup by Jennifer Cornbleet for months and never grow tired of it. Just the thing for those left-over zucchini pieces from making pasta or lasagna! Place all of the ingredients except the olive oil, avocado and dill in a blender. Blend until smooth. Add the olive oil and avocado and blend until smooth. Add the dill and blend briefly just to mix. Here's one that reminds me a little of TheRawTable's wonderful Avocado Curry Soup that was featured in the first issue of Purely Delicious. Blend everything till smooth. Pour into a bowl and add sunflower sprouts. Adjust the heat by adding less or more hot pepper. Carmella's Note: This soup is also really good without the sunflower sprouts. You can make a lovely carrot soup by simply blending some carrot juice, an avocado and curry powder. Here's a yummy version that contains a few more ingredients. Blend all ingredients except carrot juice until smooth. Add carrot juice last by hand. 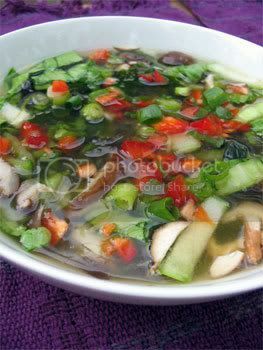 Let's finish off with a deliciously simple and fresh soup by the beautiful Cynthia Beavers of Pure Raw Cafe. A great way to use the abundance of cucumbers that we have these days! Blend until smooth; if not thick enough, add more avocado. Taste and adjust; once it tastes really good then add a big handful of fresh dill and blend. Serve chilled - really satisfying and gives you a zen feeling! * Another variation is to add mint instead of dill and fresh juiced apple juice...Then you have a lemon mint green energy soup! Carmella’s Note: I've also made this with a little celery, parsley and green onion. Yum! I could just go on and on, but I better stop here for now. I'll leave you with a few more fabulous simple raw soups that have been featured in previous posts, in case you've missed these gems. My goodness I've been wanting to jump into making raw soups and not knowing where to start. These recipes look lovely! I'm so glad I ran across your blog. MMMMM!!!! 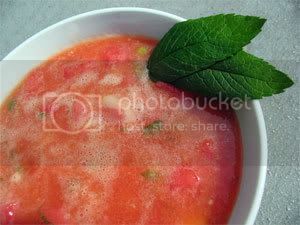 the watermelon soup sounds divine! I think I might make it tonight! Hi Carmella! It's been a long time since I've been on the forum, but I think that is finally about to change... again! Great to hear from ya girl! Well you know where we are... in the meantime, enjoy that soup! Yes--thanks so much for the great recipes. The idea of lighter and simpler really resonates--thanks for some needed inspiration. Wow!! 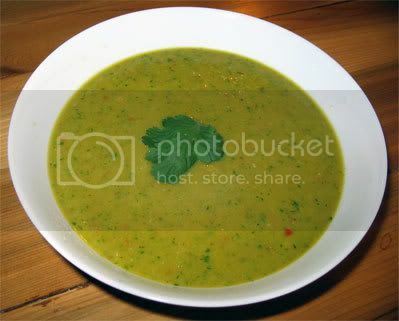 I was just searching for raw soup recipes and found your blog! Thank you, thank you! Oh yay! I'm still in total love with raw soups! Have fun playing around with these and the other delicious soup recipes floating around my blog. Anyone knows what's a good alternative to avocado? Coz I really don't like it, but it seems to be in most of the recipes. If you'd still rather not go with it, I guess you could replace it with some good cold pressed oil or perhaps even nuts such as cashews or walnuts. Thank you so much for these recipes. I tried the Red Pepper Curry soup and it is delicious! In the Carrot soup recipe you mention "2 large celery". Do you mean celery leaf or celery itself? You're most welcome Ramya! So glad you're enjoying these soups! For the carrot soup, it should read "2 large celery stalks". Thanks for pointing this out; I'll make the changes in the original post. Wow! I love your raw soup recipes. So excited. I'm in the middle of a juice fast and looking for new ideas. 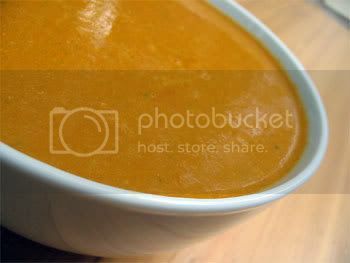 What does "popping your soup into the D" mean? Thanks for the awesome sounding recipes! It's an expression I used all the time but it never occurred to me how confusing it might sound! lol Sorry about that! Oh no, a blender is really all that you need to make raw soups! In addition to the veggies you do use some kind of liquid (normally water). We actually prefer to use boiling water as in combination with the cold veggies it comes to the perfect lukewarm temperature. So comforting, especially during the cold months! Also bear in mind that most veggies have a high water content which will also contribute to the smooth texture. Glad that I got you all excited about raw soups, Maria! We couldn't live without them now; they're just so easy, quick, incredibly yummy and comforting. 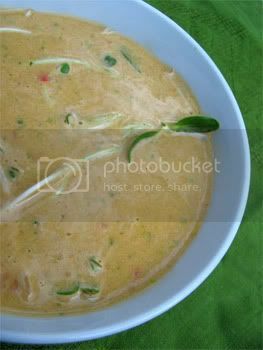 I'd been hard pressed to give you a favorite but I can say that the ones we make most often include: Creamy Zucchini Soup, a variation of the Cucumber Dill in this post, Cheezy Corn Chowder, Spinach Almond Soup and Tomato & Herb Soup. 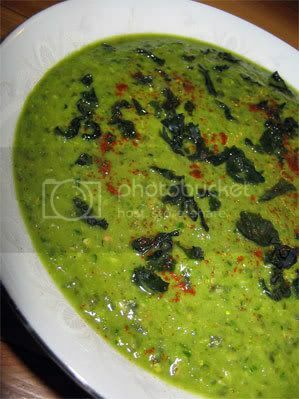 Make sure to check out my Blog's Recipe Index (the link is on the right sidebar) for tons more soup recipes, including the ones listed above. Oh, and btw we made the Watermelon Soup just a few days ago as we got a watermelon that wasn't quite ripe. It was so refreshing and delicious! Hi, superb site! I have got a question: you mention that you add boiling water to your veggies for your raw soups or heat them a little bit up on the hob. Are they still raw then? When I heat the soups up on the stove (I do so on medium) and I'm careful to constantly stir otherwise the enzymes at the bottom of the pan could get affected by the heat. When I use boiling/hot water, usually the veggies come straight out of the fridge so the soup gets to the perfect lukewarm temperature. It does depend, however, on the bulk of your veggies. For instance you won't need as much hot water with a soup consisting of mostly tomatoes as, let's say, a zucchini or a celery soup. I always start off with just a small amount of hot water at first, then I stop the blending process to check on the temperature. At that point I add more hot or cold water, depending on what's needed to keep it lukewarm, until my desired consistency is reached. It sounds complicated but really you quickly get the hang of it. After a while you just develop a feel for how much hot water to use. Just finished making the corn chowder soup. Very good!! I've tried almost all of these in the last two weeks!! AMAZING.. My favorites are the creamy spinach and the watermelon. One thing I did was save a few of each ingredient to add on a slow blend at the end (so my soups would be a little chunky). 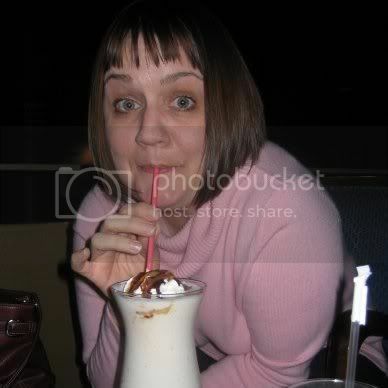 I was very happy to find a delicious way to eat raw corn. Thanks for these recipes!! !